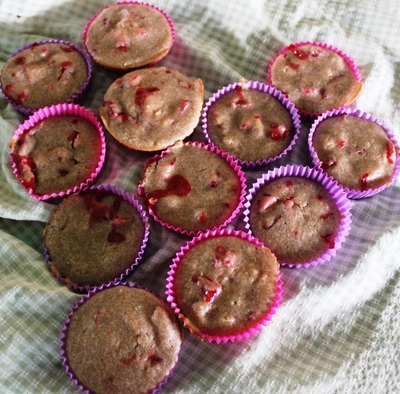 These Fresh Strawberry Muffins are so yummy and the juice oozes out with every delicious bite. In our house, muffins seem to be very popular at the moment, so I've been playing with a few different ingredients, for variety - adding some healthy fruit to the traditional sweet treat. 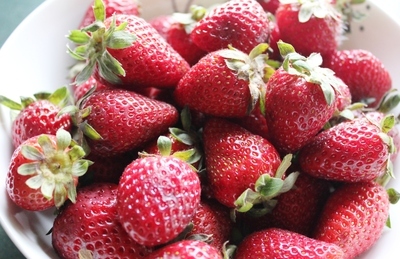 Fresh strawberries work best for these, however, frozen strawberries would be fine in this recipe too. Slice the strawberries into small cubes. Beat the egg, milk, cream cheese and caster sugar together until combined. 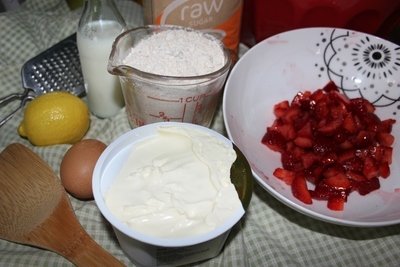 Add sifted self raising flour, sliced strawberries and finely grated lemon rind. Spoon into well greased muffin pans. Bake in a moderate oven for fifteen minutes, or until the muffins spring back when pressed in the middle. Serve hot or cold, with a dollop of cream and enjoy with your favorite cup of tea or coffee. These are super convenient for packed lunches for school, picnics or perhaps work too.